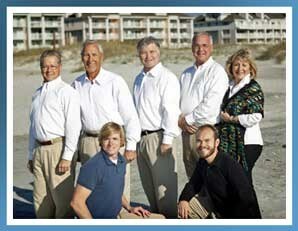 We are a group of ordained pastors active in local ministries in and around the Wilmington area. Our passion is performing weddings throughout Coastal North Carolina and our goal is to assist our couples to create memories that will last a lifetime. With a servant heart our team will assist you in every aspect of your wedding ceremony insuring that you have a Wedding Day free from worry and stress. Our pastors have been performing weddings for many years and have the experience to work with you to create and deliver the wedding ceremony of your dreams. Our setup team will handle all of the behind the scenes tasks that will make your wedding memoriable for everyone. We are committed to hearing your heart for your special day and work in tandem with you to fulfill your vision. With that in mind, we have surrounded ourselves with only those folks who share in our vision of excellence. This is the most important day of your life as you begin a new path together. Thank you for inviting us to be a part of your day! 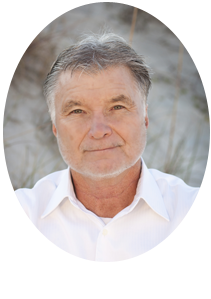 Pastor Skip Corbett and his wife Elaine founded A Beach Wedding Minister to provide for the ministrial needs of those who are not affiliated with a home church or are visiting from out of the area needing the services of qualified clergy. We love and connect with every couple and we consider every wedding that we do is the most important wedding that we will ever officiate. 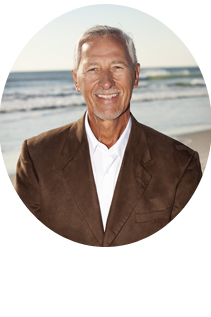 Pastor Skip was ordained in 2003 by The Door of Hope in Greensboro, NC. He is truly passionate about performing weddings and his love for people and heart for service are evident. He has been called back on many occasions to perform baptisms and christenings for babies born of the couples he marries and often performs vow renewals and other milestone anniversary celebrations. Elaine attended Southeastern Baptist Seminary and graduated with a certificate in Women's Studies. She has been the backbone of the ministry planning for the efficient efforts of our whole team and working with our couples to organize for their wedding. 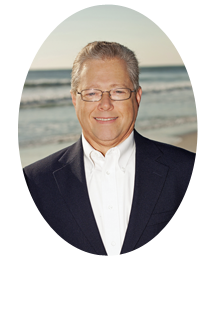 Pastor Marshall Wise is our newest team member having recently relocated from Ocean City, Maryland, where he performed beach weddings while pastoring a church. Pastor Marshall is a seasoned senior pastor with an enate ability to put every bride at ease. He is also a gifted musician and speaker and very quick-witted which is evident in every interaction with the couple. His passion is relationship development and he longs to know the couple on a more intimate level and thus, deliver the day of their dreams. In his retirement now - don't be surprised to find him ride up to your event on his beautifully shined Harley! 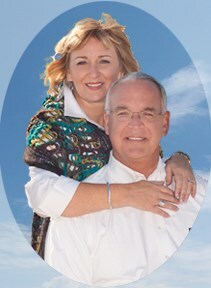 Pastor Ron Lewis also joined the team in 2009 and is an active member of Scotts Hill Baptist Church in Wilmington, NC. His background in drama ministry ensures he understand what it takes to deliver the "day of every bride's dreams". He is our resident 'Left Coaster' as he was trained through the San Fransico Bible Institute. He church planted for a number of years before accepting a Corporate Chaplain position ministering to Christian businesses. He also works in the area of crisis ministry and is a very gifted counselor which makes him an amazing minister to our wonderful couples. © Copyright 2013-2014 A Beach Wedding Minister - All Rights Reserved.